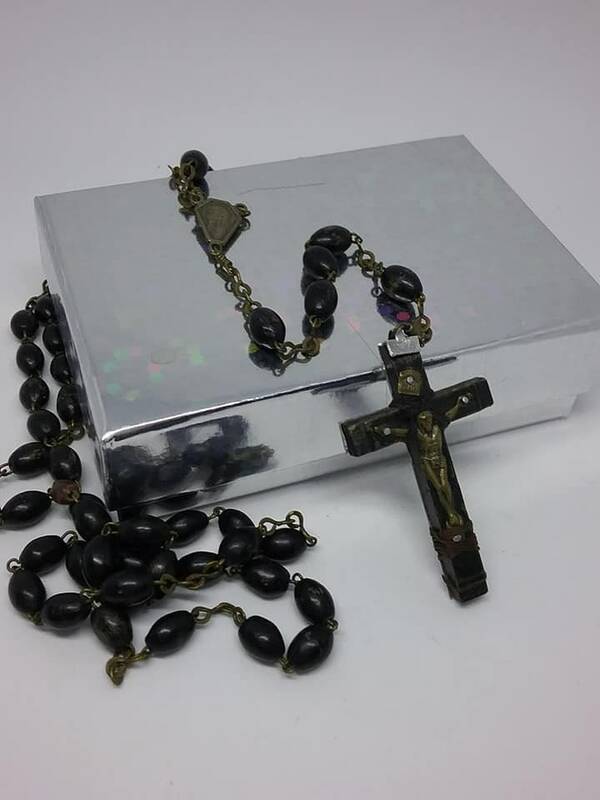 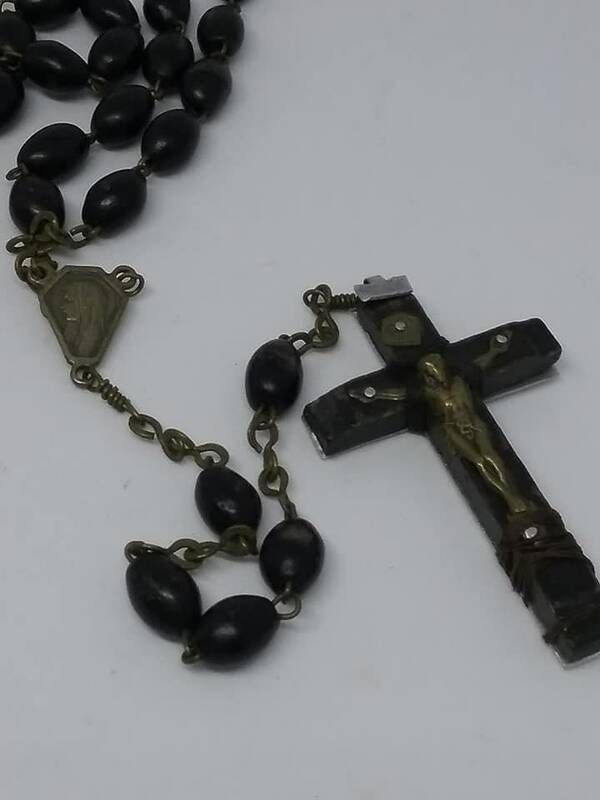 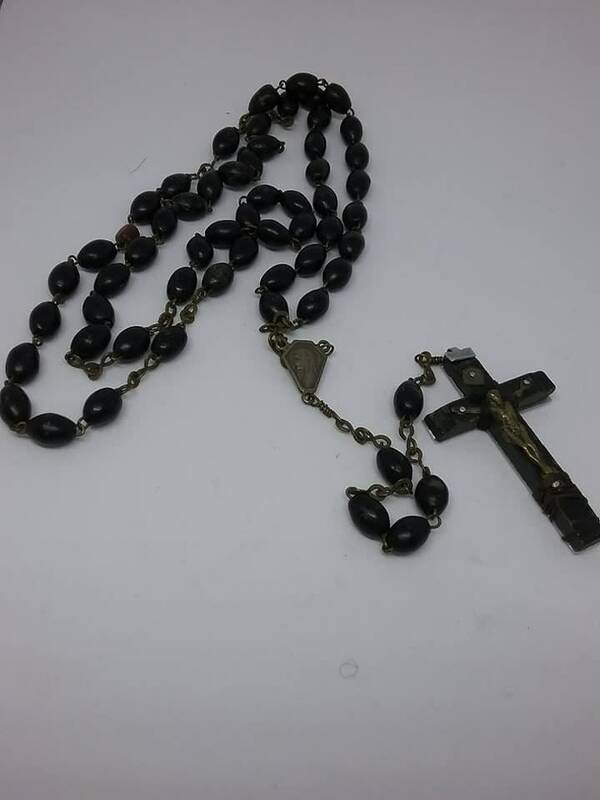 Black vintage Catholic Rosary. 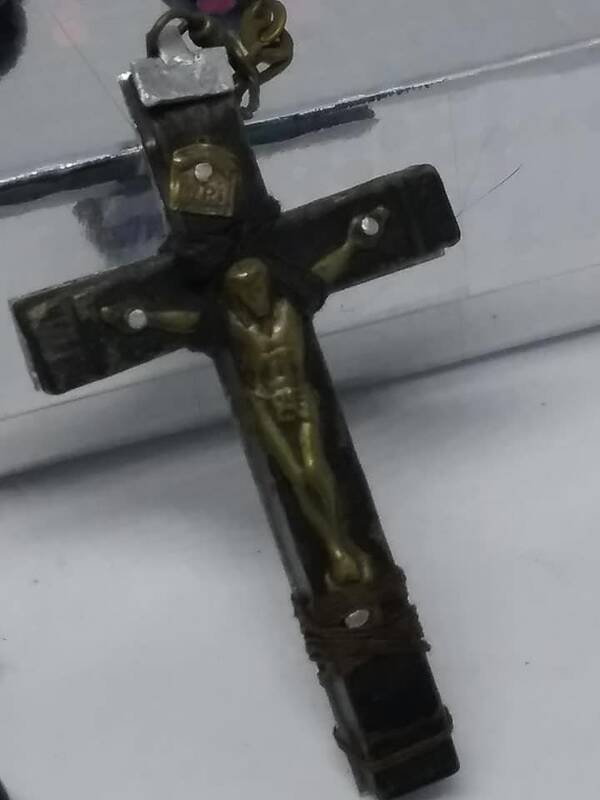 Metal and wood with a detailed crucifix. 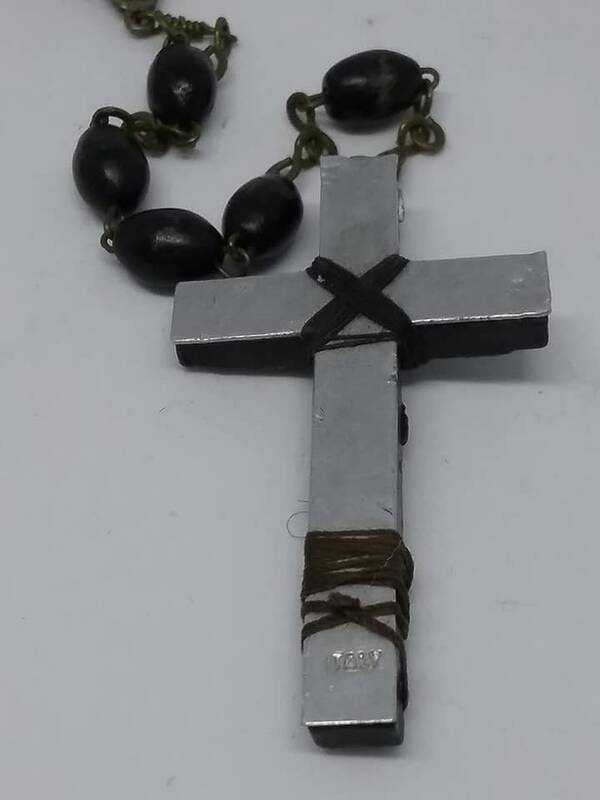 I bead is mismatched. 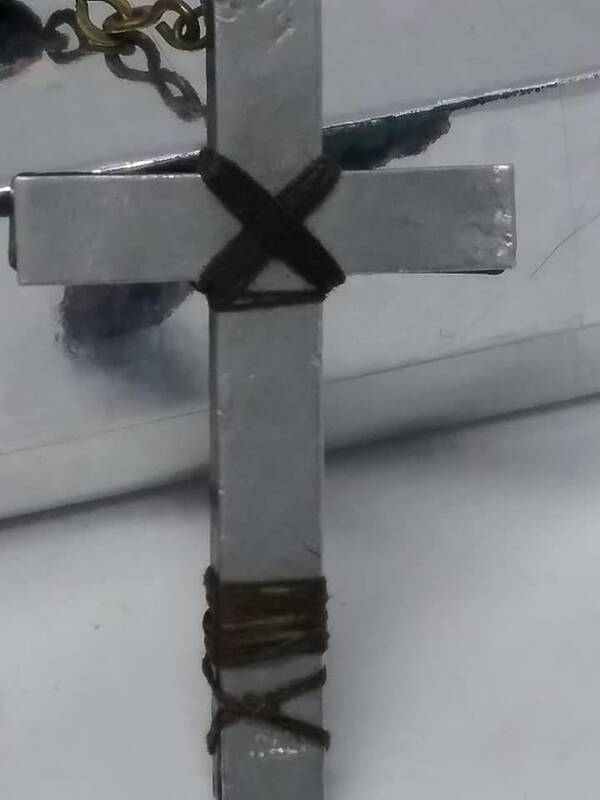 20.75" long. 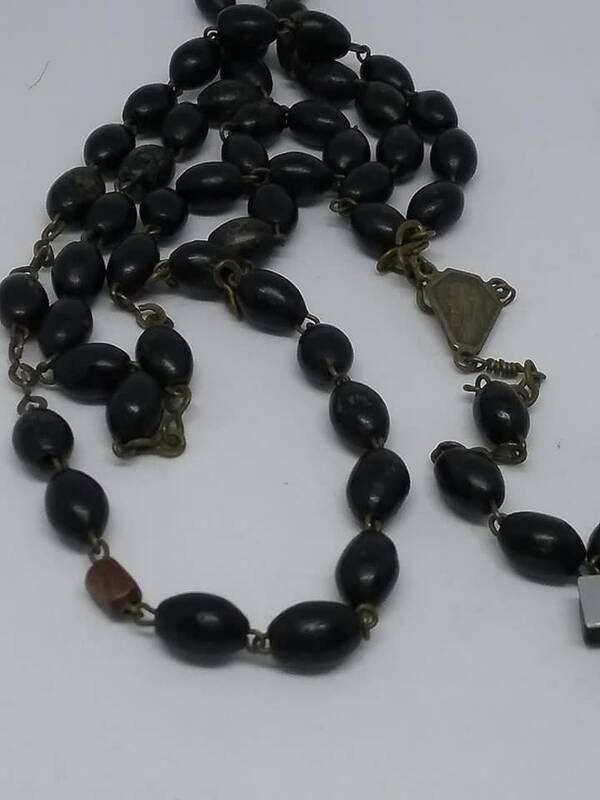 Made in Italy, it is a beautiful gift that will be loved a lifetime.